Streamlining management through centralization and collaboration. Wouldn’t it be nice to be fully aware of activities that are constantly changing? This can easily be accomplished from your email Inbox. 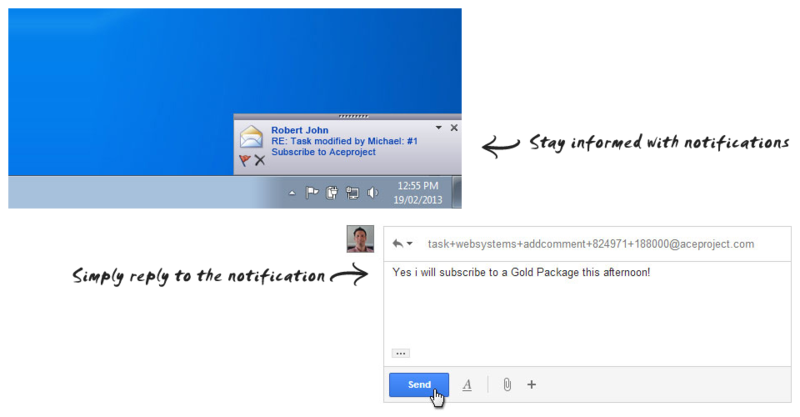 Receive updates to tasks, be notified when assigned to a new task, receive task reports and more. No more chasing employees for their timesheets. An integrated time management solution allows your business to track time across all projects. Employees can easily clock time against tasks they are working on and submit timesheets. A review process and reporting functionality provide control mechanisms to ensure proper time usage across the organization. 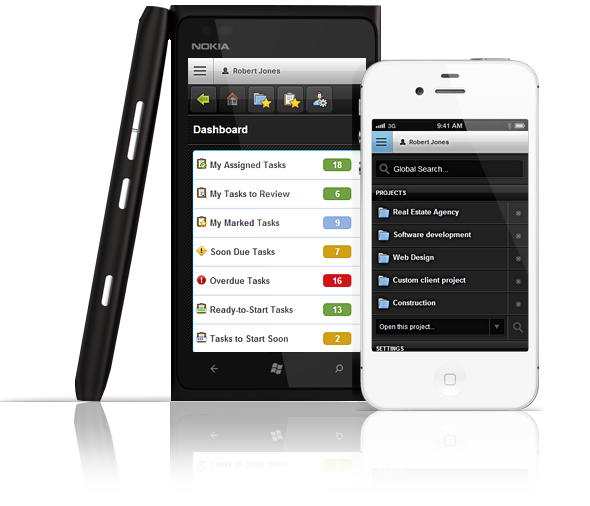 A consolidated view of all your tasks allow simplified access to what you are working on. Click on any bar to jump directly to the list of your choice. Wondering where that critical file is? 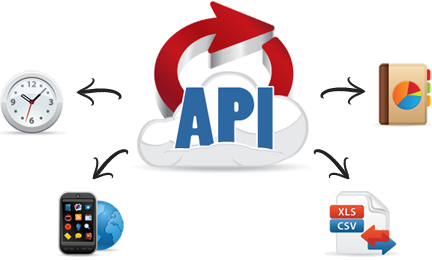 With AceProject it is always securely stored and accessible at the project or task level. Money makes the world go round. Stay on budget by tracking all costs against a project or task. The submittal and approval functionality as well as report generation is everything required to keep an eye on your expenses. 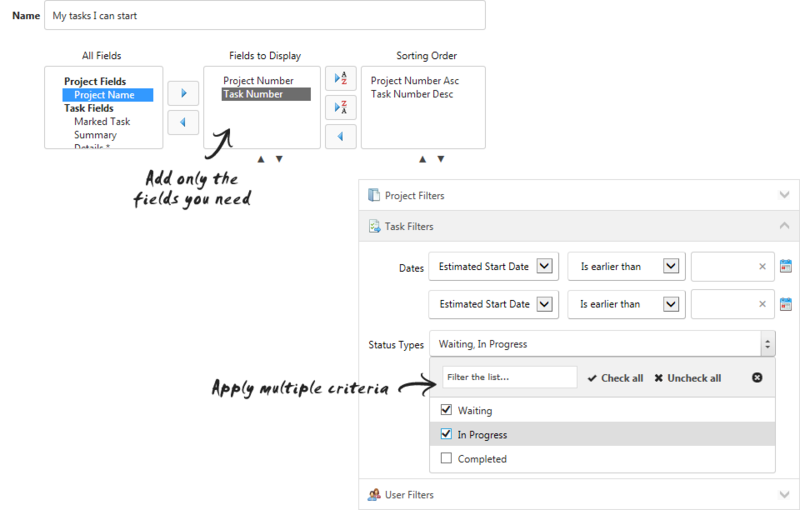 Custom task reports allow tailored views and lists to be generated. Create your reports based on selected criteria. Define your fields, filters, and sorting order then save your report for future use. Carry AceProject in your pocket! Sometimes you may require access to your data to use in another application. 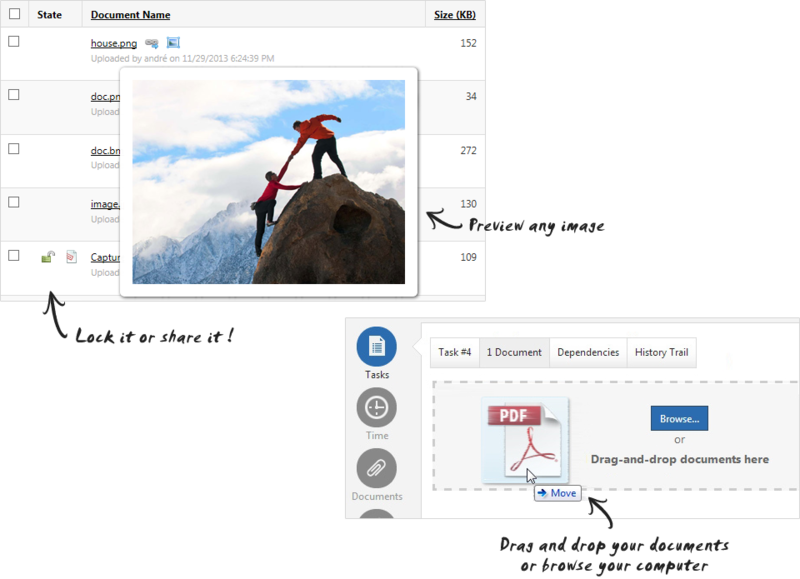 It is as simple as clicking the export icon to save your data into a CSV or XLS format. Whether you would like to create automated or specialized reports, or extend functionality, the AceProject API provides you control to access information and tailor your experience to your needs. To develop your own plugins and addons start by looking at the API documentation. You may use a PC, a Mac, an iPhone, an iPad, an Android smartphone or tablet, or a Blackberry, it's up to you. AceProject is compatible with all these devices. Interface skins can be applied at the account level. Each user can choose their own skin as well. Apply skins, change the application's name and logo. Many organizations use AceProject to collaborate with external resources such as clients or sub-contractors. In that case, it would only make sense that AceProject match the organization's corporate image. Seeing is believing. Try AceProject in your browser now. All major browser platforms supported. Enhance Your AceProject Experience with Bridge24.com! AceProject may not always contain that specific feature that you are looking for. 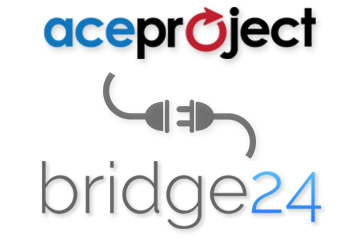 Bridge24.com is a seamless and powerful extension to AceProject that adds higher level functionality. It can also be used to simply view your data in a new perspective. Compliment your AceProject experience through dynamically connecting with Bridg24.com (currently offered for free during the Beta period).